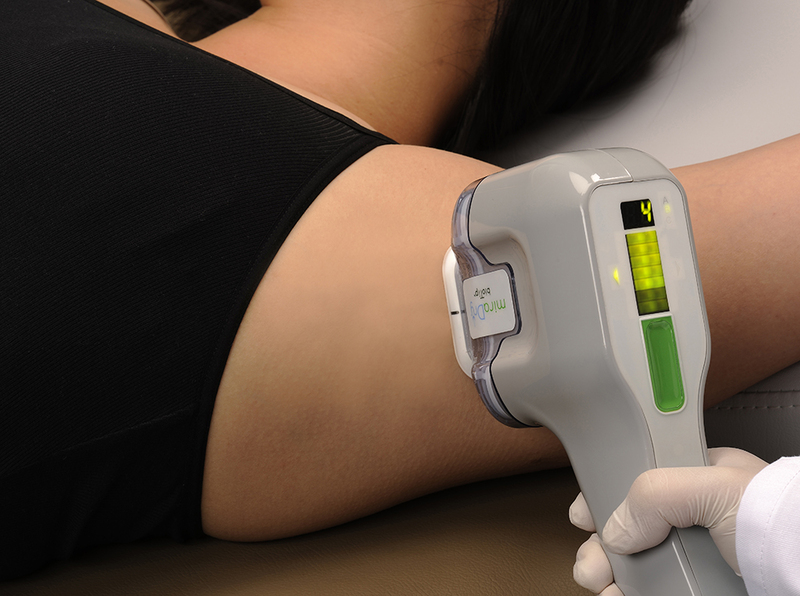 Want To Eliminate Problem Sweat With miraDry? miraDry is the only procedure that provides permanent* results without surgery. miraDry is recommended by the International Hyperhidrosis Society as a safe, effective and lasting 2nd line treatment option. Click here for more information. A safe, clinically proven**, non-invasive procedure, miraDry uses electromagnetic energy which is delivered to the skin using a specially designed handpiece. The energy is carefully targeted to the area where the sweat glands are found and destroys them. Sweat glands do not grow back, so the procedure gives a permanent* and dramatic reduction** in sweat. The procedure is safe; miraDry has been through clinical trials and is the first and only device cleared for underarm sweating by the US Food and Drug Administration***. Since 2011, over 40,000 people have been treated worldwide, so experience of the treatment is extensive. The procedure is quick, with little to no pain or discomfort, with minimal downtime after treatment; side effects after treatment (minor bruising, discomfort and swelling) are generally short-lived. The treatment is permanent*; only one or two procedures are required to destroy the sweat glands and, as they don’t grow back, the sweating does not return. miraDry prices start at £1495. For more information on the payment plan, please give us a call. You might also find it useful to compare the cost of miraDry with the cost you are spending on current treatments. Click here to use our sweat cost calculator. A free consultation with one of our expert practitioners will help you decide if miraDry is the right treatment for you. For more information or to book your free consultation, please contact your nearest clinic by clicking here. Mark Lupin, MD et al; Dermatol Surg 2014; 40: 805-807, click here to view full article. **More details on clinical study can be found - Clinical Evaluation of a Microwave Device for Treating Axillary Hyperhidrosis, H. Chih-Ho Hong, MD, Mark Lupin, MD et al; Dermatologic Surgery 2012; 38:728-735, click here to view full article. ***FDA Certificate - Click here to view FDA approval certificate. To contact Sweat Smart Centres and receive your free e-guide to how to help manage unwanted sweat, please fill out the form below. Sweat Smart Centres offer a confidential service where you can explore the different non-surgical treatments available for excessive sweating and hyperhidrosis with a qualified professional.